Horrific events can happen. Any place! Anywhere! And any way! The images of the violent storm which swept through the Ottawa and Gatineau regions last Friday depict massive destruction. 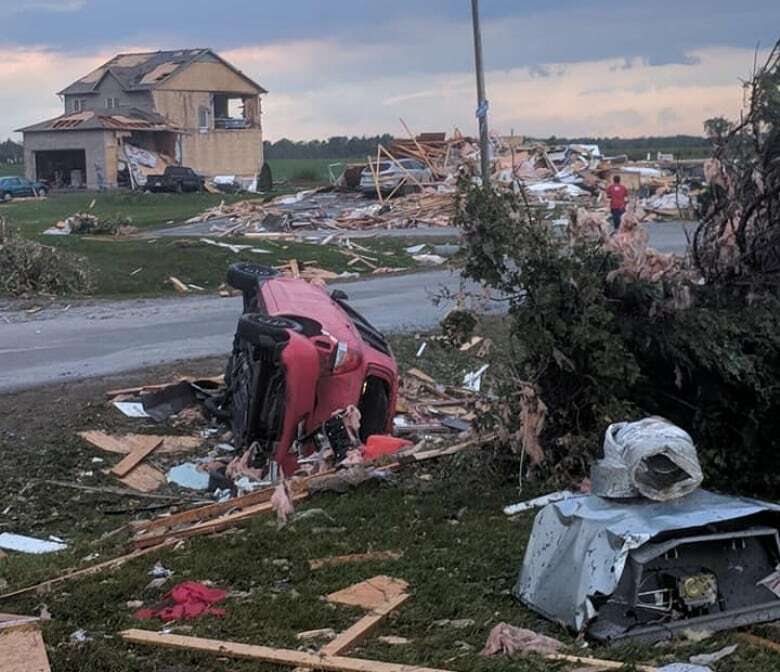 David Brousseau-Lambert said he doesn't recognize his Gatineau neighbourhood after the storm. "There was carnage everywhere. Trees fallen down, cars knocked over. My whole car's damaged too — broken windows and everything and people are just crying and panicking," he said. Imagine one minute living life in peace and harmony; and then the next minute being tossed into a pool of chaos and devastation. The five simple words in this profound adage tell us a story: “Life Can Turn on a Dime.” Life certainly changed for these people within a small space of time. Life can change for anyone when they face an unexpected event. Everything people work towards owning is shown in these photos. Houses. Cars. Household possessions. Once people are over the shock, their focus will turn to recovery. How do you recover from something this catastrophic? Hopefully, the answer is that they carried home insurance. Insurance is not limited only to the need to cover natural disasters such as a flood, earthquake, or hurricane, which cause great damage or loss of life. Insurance is necessary to cover against theft, fire, and accident. Any of these events will cause your life to turn on a dime financially, mentally, and in some cases, physically. The cautionary advice is to protect your family and yourself. 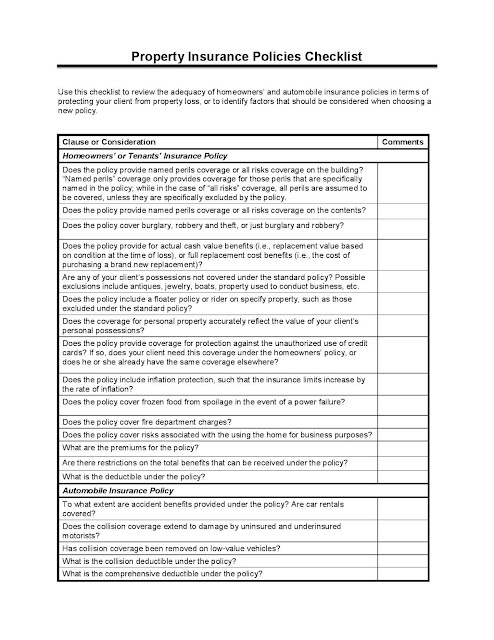 Below is a checklist found in CIFP’s Financial Planning Practitioners Guide updated in 2017. The information is of little value if it is not shared with you. 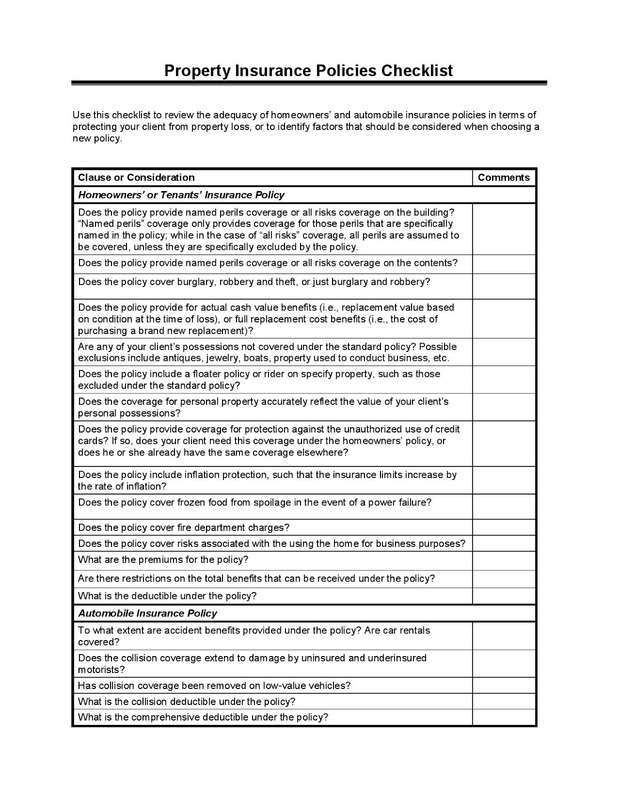 Presenting the information will provide you with a guideline to examine and review your policy with your insurance representative. Trick questions are difficult to answer. Some are next to impossible. Often, it’s seniors who ponder over the trickiest question of all. A generous heart can be problematic. In some cases, a generous heart trumps common sense. People can easily fool themselves into believing they have enough money to meet their financial needs for a lifetime. How do we measure a “lifetime”? The reality is a magic formula doesn’t exist. We all know family and friends who are now centenarians, living beyond 100 years of age. And we also know of family and friends who died earlier than anticipated. Certain guidelines can settle a person’s anxious thoughts. They may not be perfect but they’re helpful. 1. 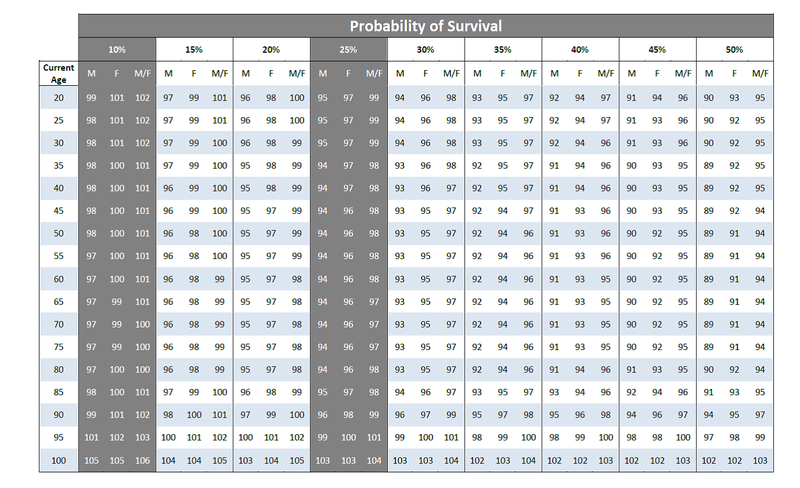 The Probability of Survival. CERTIFIED FINANCIAL PLANNER® professionals will often reference the Projection Assumption Guidelines published by Financial Planning Standard Council (FPSC). Within this document is the life expectancy table shown below. This guide leans toward longer life expectancies to provide a more conservative approach in developing projections. We are generally the best ones to know and understand our health circumstances and lifestyle behaviours. The general assessment is based on our diet and fitness habits. How well do we take care of our bodies and minds? This information can provide an accurate guideline to determine our longevity. When we have regular appointments with our doctors and health practitioners, these professionals are in a position to provide an accurate valuation of our current health status. Often our parents’ longevity can provide some insight into our own. 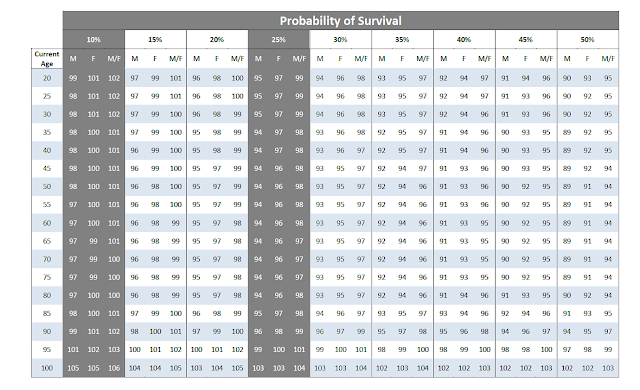 If both parents lived to 90 years of age, then the probability is likely the same for us. Naturally, if they died prematurely, we may have reason to believe their work conditions and health care were not ideal. The heart of the matter is we need an answer to the trick question to determine how much to save to satisfy our need for an ideal retirement. Secondly, we need to decide how much money to keep for ourselves while we give the remainder away. Choosing an age from the chart that is higher than you believe to be true is far better than choosing a younger age. You would not want to live destitute because you have given away a sizable portion of your estate. My rule of thumb is we can be generous with a little of our wealth if we are absolutely certain we have an abundance. But consider this: Our financial situation can rapidly change within minutes. 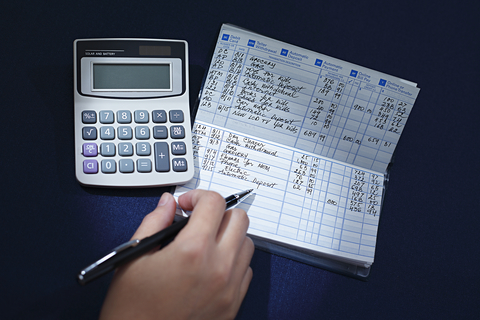 Presently, we may be able to accurately calculate our annual lifestyle expenses. But one sudden and severe health incident can dramatically increase these costs. Without a doubt, we have generous hearts. Common sense should rule. We need to be extremely cautious when we are seniors living on a fixed income in retirement. Seniors do not have an opportunity to earn employment income because we may no longer be physically able to work. 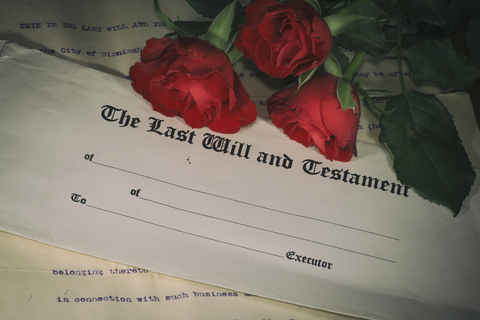 The logical response: “Do not place ourselves in financial jeopardy.” When we pass away, the amount remaining in our estates may be passed on to our beneficiaries through our wills.